Rose De Dan was expecting more of a “Dr. Doolittle” experience when she took her first class on animal communication. Instead, she realized that she already knew what the instructor was saying and how to connect with her furred and feathered friends. “I had been doing it all my life,” she said. 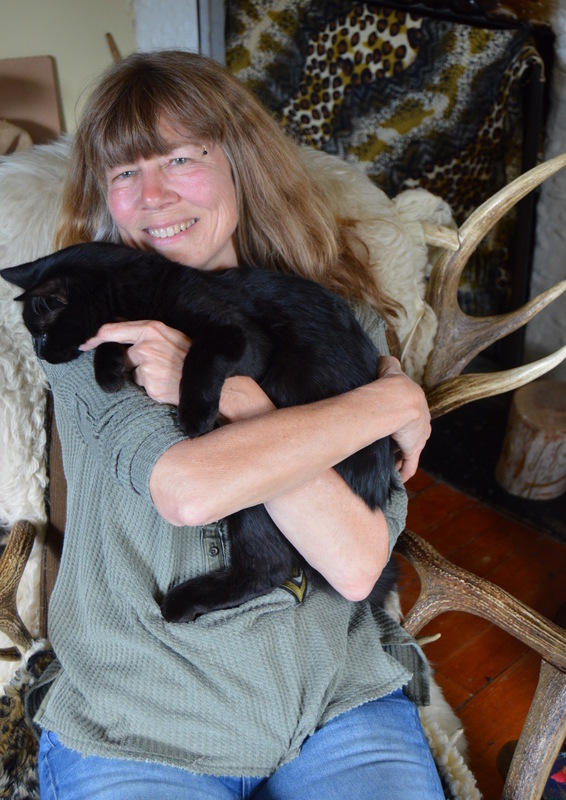 De Dan offers healing sessions for animals of all species, as well as Reiki and Shamanic classes for individuals interested in learning her art. Students from near and far have signed up for the courses, which De Dan teaches in a series of training calls. Lisa Craig, who resides in Australia, enrolled in both Reiki and animal connection classes with De Dan. Another student Mitzi Koch found De Dan while searching for a teacher who could help her apply Reiki to healing animals. She is currently taking her fifth class at Wild Reiki and Shamanic Healing. De Dan has found her calling in this work, even if her path has taken her a bit by surprise. Originally from New Jersey, she majored in English and then pursued a career in graphic design and the printing industry. She was living in Massachusetts when she made a decision that would change her life. She signed up for a Reiki class. By the time De Dan moved to Seattle in 2000, she was a full-time healer. She started studying animal communication and shamanism as well. Currently, she sees animal clients in house visits and by phone consultations. She assesses each patient’s energy. “I can see where the animal is out of balance in the body and shift things,” she said. De Dan said that a number of calls come from owners of aging pets or those with serious health conditions. She also helps animals with behavior issues, like aggressive or fearful dogs. By helping humans connect with nature and animals, she believes she can make a difference. For more information, visit http://reikishamanic.com. I have taken Rose's classes. She is a gifted teacher and I recommend her to anyone interested in healing and animals. I had a different experience. I felt boxed in and certain topics were off-limits. The taboo topic wasn't even the point of my share, yet that's all that was called out. It's very difficult for me to open up so the critical response to my share really turned me off. Also, when I expressed my discomfort with the result of a specific exercise, I was basically told to get over it. If we are supposed to go with our feelings, then why were my feelings about the result of an exercise dismissed? It's not for everyone, finding the right fit can take a few tries.